现更名为敦林苍祐大道的日落洞高速公路，位于槟岛东海岸，途经市中心、槟威大桥、峇六拜工业区最后在槟城国际机场结束，是槟岛的大动脉。槟城中环公路, consisting of a number of major roads like 苏格兰路和青草巷, was also created to alleviate traffic congestion around the city centre during rush hours. 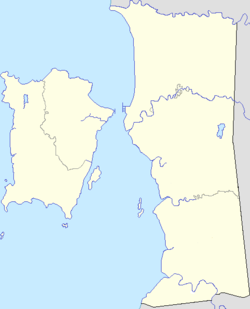 Meanwhile, the city proper is also linked with the western parts of Penang Island, such as Balik Pulau, via the 跨岛联邦公路6号, a circuitous route that winds along the island's coastline. 威尔士王子岛公报（英语：Prince of Wales Island Gazette）是马来西亚第一家出版报纸的报馆，于1805年出刊。. ^ Malaysia Elevation Map (Elevation of George Town). Flood Map : Water Level Elevation Map. [2015-09-25]. （原始内容存档于2015-03-16）. ^ The Penang Island City agenda. 太阳报. 2014-05-19. ^ 基佐哈里, 再里尔. stepchild | Zairil Khir Johari. 再里尔（升旗山国会议员）. 2015-07-14 [2017-05-27] （英语）. ^ Usman Haji Yaakob; Nik Norliati Fitri Md Nor. The Process and Effects of Demographic Transition in Penang, Malaysia (PDF). School of Humanities. 马来西亚理科大学: 42, 45 6, 9/28. 2013 [2016-01-25]. （原始内容 (PDF)存档于2016-10-21）. ^ Homi Kharas; Albert Zeufack; Hamdan Majeed. Cities, People & the Economy – A Study on Positioning Penang (PDF). 国库控股, 世界银行. ThinkCity: 5, 12/105. September 2010 [2016-01-26]. ISBN 978-983-44193-3-2. （原始内容 (PDF)存档于2016年1月26日）. ^ Hamdan Abdul Majeed. Urban Regeneration : The Case of Penang, Malaysia (Putting Policy into Practice) – The Penang Metropolitan Region (George Town Conurbation) (PDF). 国库控股. 世界银行: 10/20. 2012-04-11 [2016-01-04]. （原始内容 (PDF)存档于2016-01-04）. ^ 10.0 10.1 Centre, UNESCO World Heritage. Melaka and George Town, Historic Cities of the Straits of Malacca. whc.unesco.org. [2016-10-13] （英语）. ^ 11.0 11.1 檳島市政局升格為市政廳. 東方網 - 馬來西亞東方日報. ^ Eight new sites, from the Straits of Malacca, to Papua New Guinea and San Marino, added to UNESCO's World Heritage List. 联合国 (世界遗产). 2008-07-07 [2008-07-08]. （原始内容存档于2015-09-06）. ^ George Town, Penang: Asia's greatest street food city? | CNN Travel. [2017-05-27]. ^ Where are the foodies going in 2014?. The Independent. 2014-02-02 [2017-05-27] （英语）. ^ Looking for a 2016 vacation? Here are 16 must-see destinations. Los Angeles Times. 2015-12-26 [2017-05-27]. ISSN 0458-3035 （英语）. ^ Christina Oon Khar Ee; Khoo Suet Leng. Issues and challenges of a liveable and creative city: The case of Penang, Malaysia (PDF). Development Planning and Management Programme, School of Social Sciences, University of Science, Malaysia: 1/11. 2004 [2016-01-26]. ISSN 2180-2491. （原始内容 (PDF)存档于2016-01-26）. ^ 18.0 18.1 Doris Liew, Lim Chee Han. Medical Tourism A Billion Ringgit Industry for Penang. Penang Monthly. [2017-05-25]. ^ 19.0 19.1 Hilmy, Imran. Penang accounts for 50% of medical tourists. The Sun. 2014-12-05 [2017-05-25] （英语）. ^ Port of Penang. World Port Source. [2017-05-25]. ^ About. Port of Penang. ^ Eight new sites, from the Straits of Malacca, to Papua New Guinea and San Marino, added to UNESCO’s World Heritage List. 2008-07-07 [2010-01-06]. ^ Abu Talib Ahmad. Museums, History and Culture in Malaysia. NUS Press. 2014-10-10: 233–. ISBN 978-9971-69-819-5. ^ Editor Muhammad Haji Salleh. Early History of Penang (Penerbit USM). Penerbit USM. 2015-08-27: 39–40. ISBN 978-983-861-657-7. ^ The Penang connection. The Hindu. 2014-08-18 [2016-01-08]. （原始内容存档于2016-01-08）. ^ 28.0 28.1 III, Administrator. History of Penang. www.visitpenang.gov.my. [2016-10-15]. （原始内容存档于2016-01-02）. ^ JourneyMalaysia » The Arrival of the British and East India Company ~ Pulau Pinang / Penang , Malaysia (Article). 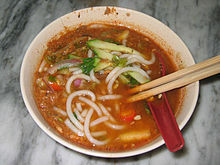 www.journeymalaysia.com. [2016-10-15]. ^ Swettenham; Frank Athelstane. Map to illustrate the Siamese question. W. & A.K. Johnston Limited. University of Michigan Library. 1850–1946 [2016-01-09]. ^ Simon Richmond. Malaysia, Singapore & Brunei. Lonely Planet. 2010: 177–. ISBN 978-1-74104-887-2. ^ Ashley Jackson. Buildings of Empire. OUP Oxford. November 2013: 7–. ISBN 978-0-19-958938-8. ^ Malaysian Journal of Society and Space. Charting the early history of Penang trading networks and its connections with the new ASEAN growth triangle (Malaysia-Indonesia-Thailand). ^ Nordin, Hussin. Networks of Malay Merchants and the Rise of Penang as a Regional Trading Centre. The southeast asian studies. 2005-12-01, 43 (3): 215–237. ISSN 0563-8682. 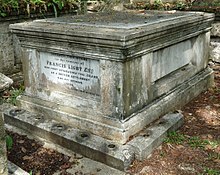 ^ pg.3 - Chapter 1 - Early Penang Society (contd). 100pfs.blogspot.my. [2016-10-15]. ^ The Penang Story. A Comparison on the Urban Spatial Structures of the British Colonial Port Cities among Calcutta, George Town and Singapore. ^ Too close for comfort for Penang folks - Star2.com. Star2.com. 2016-04-14 [2016-10-15] （英语）. ^ ASEAN Conference on Environment-Behaviour Studies. 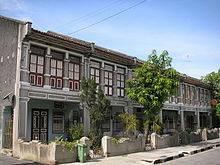 Urban Landscape Factors That Influenced the Character of George Town, Penang Unesco World Heritage Site. ^ Hairunnisa Md Arus; Dr. Mohd Effendi Daud; Najihah Remali. Seminar Teknikal Kebangsaan Gempa Bumi dan Tsunami (Study Area) – Implementing Thematic Indices Combination Technique for Tsunami Vulnerability Mapping in West Coast of Peninsula Malaysia using High-Resolution Imagery (PDF). Faculty of Engineering and Environment, 胡先翁大学, 槟城州政府. 马来西亚八打灵再也: 马来西亚气象局: 7/41. 13–14 December 2012 [2016-01-21]. （原始内容 (PDF)存档于2016-01-21） （英语及马来语）. ^ Nathaniel Fernandez. Making Penang more liveable. The Star. 2014-07-26 [2016-01-20]. ^ 42.0 42.1 Councils grapple with urban sprawl. www.thesundaily.my. [2017-05-27] （英语）. ^ Goh, Ban Lee. Penang's Growth Cries Out for More Local Councils. Penang Monthly. 2013 [2017-05-27]. ^ Chau, Loon Wai. Probing Different Centralities in City Regions: A space-syntactic approach. Techne Press. 2005, 1. ^ Gurney Drive's reclamation project will transform the seaside promenade - Star2.com. Star2.com. 2016-12-30 [2017-05-26] （英语）. ^ E & O gains more time to finish Seri Tg Pinang reclamation - Business News | The Star Online. www.thestar.com.my. [2017-05-26]. ^ Cover Story: IJM Land to unveil two much-awaited projects. The Edge Markets. 2017-04-13 [2017-05-26]. ^ Brebbia, C. A. The Sustainable World. Wessex Institute of Technology. 2011. ISBN 9781845645045. ^ Centre, UNESCO World Heritage. Melaka and George Town, Historic Cities of the Straits of Malacca. whc.unesco.org. [2017-05-26] （英语）. 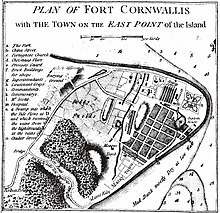 ^ The Historic City of George Town Heritage Management Plan (PDF). George Town World Heritage Incorporated. 2008. ^ Unesco heritage listing: Height of new projects capped at 18 metres. The Sun. [2017-05-27]. （原始内容存档于2017-08-22） （英语）. ^ Centre, UNESCO World Heritage. UNESCO World Heritage Centre - State of Conservation (SOC 2009) Melaka and George Town, Historic Cities of the Straits of Malacca (Malaysia). whc.unesco.org. [2017-05-27] （英语）. ^ Wong, Chun Wai. Several Penang roads named after distinguished Scotsmen | Wong Chun Wai. Wong Chun Wai. 2013-05-04 [2017-05-27] （英语）. ^ Wong, Chun Wai. Streets named after places in England remind the British of home - Malaysia Premier Property and Real Estate Portal. Star Property. 2013-04-27 [2017-05-27] （英语）. ^ Plunge into Penang. Phuket Gazette. 2014-07-16 [2018-09-29]. ^ Roads in Penang: Expressways and Highways in Penang, Street Names of George Town, Penang, Penang Bridge, Penang Second Bridge. LLC Books. 2010. ISBN 9781155980751. ^ George Town's first mayor a fiery man - Community | The Star Online. www.thestar.com.my. [2017-05-27]. ^ Penang to stick with multilingual road signs - Nation | The Star Online. www.thestar.com.my. [2016-10-17]. ^ Multilingual road signs put up to boost Penang's tourism - Nation | The Star Online. www.thestar.com.my. [2016-10-17]. ^ Dan Lee. The Cape of Flowers. Penang Monthly. 2017 [2017-05-27]. ^ Tanjung Bungah in Numbers. Penang Monthly. 2017 [2017-05-20]. ^ Penang Unpeeled. Penang Irish Association. [2017-05-27]. ^ Wong, Chun Wai. Jelutong: Home to a thriving coastal village. The Star. 2013. ^ Filmer, Andrea. Air Itam: So Busy. So Beguiling.. Penang Monthly. 2016 [2017-05-27]. ^ Wong, Chun Wai. Roaring times in old Air Itam - Community | The Star Online. The Star. 2013-08-17 [2017-05-27]. ^ 67.0 67.1 Opalyn Mok. Penang DAP rep: Put all projects in Gurney Drive on hold. Malay Mail. 2015-05-22 [2017-05-27]. ^ Mega project plans for reclaimed Gurney Drive. NST Online. 2016-03-09 [2017-05-27] （英语）. ^ Dewi, K. Kasturi; Chin, Christina. Archives | The Star Online.. [2016-10-17]. ^ The Official Opening Ceremony of the Viewing Deck, Penang Hill. Official Website of the Chief Minister of Penang. ^ myPenang - Penang Botanic Gardens, 130 years of Legacy. www.mypenang.gov.my. [2016-10-17]. ^ Penang Botanical Gardens Waterfall, Penang / Pulau Pinang. [2016-10-17]. ^ Centre, Info. Brief History. www.penangmunicipalpark.com. [2017-05-23] （英语）. ^ Penang Municipal Park. Time Out Penang. [2017-05-23] （英语）. ^ Youth Park is an excellent place for city dwellers to take a respite from busy downtown.. www.penangheritagecity.com. [2017-05-23]. ^ TPO Friendship Park, George Town, Penang / Pulau Pinang. [2016-10-17]. ^ Metropolitan Park, Relau, Penang / Pulau Pinang. [2016-10-17]. ^ Penang Graffiti Park. [2016-10-17]. ^ Proposed Armenian Street Park, George Town Special Area Plan Draft. [2016-10-17]. ^ Safeguarding Penang’s water supply. Safeguarding Penang’s water supply,. [2017-05-23]. ^ The Penny Cyclopaedia of the Society for the Difussion of Useful Knowledge. Charles Knight. 1840: 400–. ^ Tijs Neutens; Philippe de Maeyer. Developments in 3D Geo-Information Sciences. Springer Science & Business Media. 2009-10-16: 206–. ISBN 978-3-642-04791-6. ^ Why is South-East Asia's annual haze so hard to deal with?. The Economist. 2013-07-07 [2016-10-15]. ISSN 0013-0613. ^ Penang Meteorological Office - Malaysian Meteorological Department. www.met.gov.my. [2017-05-27]. （原始内容存档于2017年5月17日） （英语）. ^ Penang/Bayan Lepas Climate Normals 1961–1990. National Oceanic and Atmospheric Administration. [2015-02-04]. ^ Klimatafel von Penang (George Town) / Malaysia (PDF). Baseline climate means (1961–1990) from stations all over the world. Deutscher Wetterdienst. [2016-05-23] （德语）. ^ 拉昔任副首長　檳州內閣4新面孔. 東方網 - 馬來西亞東方日報. ^ Organisation Chart. Official Portal of Penang Island City Council (MBPP). 2015-10-09 [2016-10-15]. ^ New Mayor for Penang Island City Council. www.thesundaily.my. [2017-06-30] （英语）. ^ New list of city councillors to be tabled on Jan 4 - Nation | The Star Online. [2017-01-01]. ^ Raising Komtar. Penang Monthly. 2016-02-02 [2016-10-15] （英语）. ^ Key summary statistics for Local Authority areas, Malaysia, 2010 (PDF). Department of Statistics, Malaysia. [2013-06-19]. （原始内容 (PDF)存档于2015-02-05）. ^ Massive projects in place to alleviate urbanisation in Penang. 2016-10-29 [2016-11-26]. ^ 50 best foods in the world | CNN Travel. [2016-10-18]. ^ Where are the foodies going in 2014?. The Independent. 2014-02-02 [2016-10-18] （英语）. ^ TIME Magazine -- Asia Edition -- November 22, 2004 / Vol. 164, No. 21. [2016-10-18]. ^ Penang Road Famous Teochew Chendul. www.chendul.my. [2017-03-07] （英语）. ^ Penang Road Famous Teochew Chendul. Time Out Penang. [2017-03-07] （英语）. ^ Behold, the Penang Hokkien Mee. 2014-04-13 [2017-03-07]. ^ Paradise in Penang. AsiaOne Travel. [2017-03-07]. （原始内容存档于2017-03-07） （英语）. ^ The famous Penang char koay teow. 2014-04-27 [2017-03-07]. ^ Char Kway Teow on Siam Road, Penang - HungryGoWhere Malaysia. [2017-03-07] （英语）. ^ Singapore, National Library Board,. 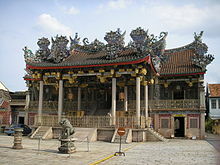 Chingay | Infopedia. eresources.nlb.gov.sg. [2016-10-18]. ^ myPenang - Penang Pesta Chingay Parade. mypenang.gov.my. [2017-03-07]. ^ Gopinath Rao.S. Bangsawan. Angelfire.com. [2011-01-03]. ^ The case for bangsawan. [2014-09-13]. （原始内容存档于2013-10-29）. ^ Minni Ang. Boria. Musicmall-asia.com. [2011-01-03]. （原始内容存档于2011-05-14）. ^ Official Website of Penang Philharmonic. Pessoc.com. 2010-12-23 [2011-01-03]. ^ woonviolincollections.com 互联网档案馆的存檔，存档日期2010-06-10.. woonviolincollections.com. Retrieved on 11 August 2011. ^ Lim, Serene. The good, bad and ugly of street artist Ernest Zacharevic's murals. 今日报. 2015-04-24 [2015-04-26]. ^ asiarooms.com. Penang Museums, Malaysia Travel Information, Penang Travel Guide. Asiarooms.com. [2011-01-03]. ^ Penang Art Gallery: Art Galleries and Museums in Penang Area, Malaysia. Penang.world-guides.com. [2011-01-03]. ^ p-ramlee/gallery penang. P-ramlee.com. Retrieved on 11 August 2011. ^ Made In Penang Interactive Museum :: 美因槟廊. www.madeinpenang.my. [2016-10-18]. （原始内容存档于2016-10-21）. ^ Penang Time Tunnel | The History Museum. penangtimetunnel.com. [2016-10-18]. ^ George Town Festival 2016 - GTF Programmes, Events & Performances in Penang world heritage. George Town Festival 2016. [2016-10-19] （英语）. ^ hermes. Penang's George Town Festival grows up. The Straits Times. 2016-08-16 [2016-10-19]. ^ George Town Festival 2016 (August 1 – 31) - Penang's Most Popular Arts, Dance, Movies, and Music Event. penang.ws. [2016-10-19]. ^ Tourism, Penang Global. Penang Hot Air Balloon Fiesta 2016. Penang Hot Air Balloon Fiesta 2016. [2016-10-20]. ^ II, Administrator. Penang Hot Air Balloon Fiesta 2016. www.visitpenang.gov.my. [2016-10-20]. （原始内容存档于2016-10-20）. 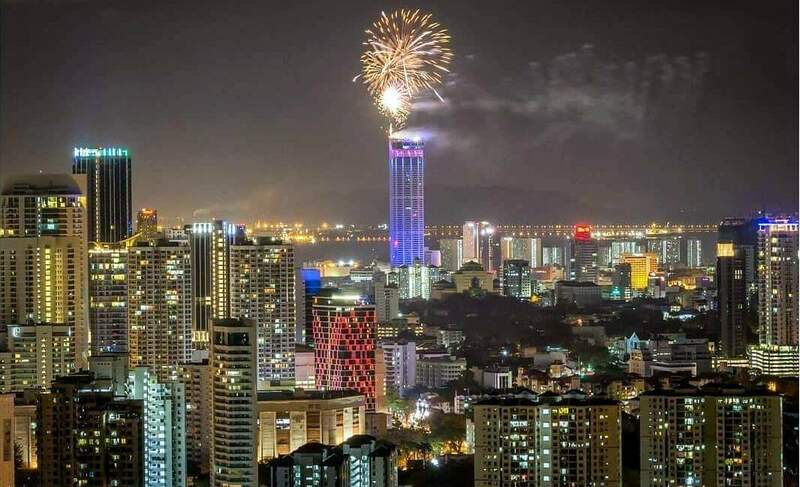 ^ A Sky of Stars: Penang Shines as a Sporting State. Penang Monthly. 2016-04-01 [2016-10-18] （英语）. ^ Nicol David International Squash Centre, Bukit Dumbar, Penang / Pulau Pinang. [2016-10-18]. ^ Stadiums in Malaysia (Penang City). World Stadiums. [2016-02-12]. （原始内容存档于2014-03-27）. ^ Rental. Official Portal of Penang Island City Council (MBPP). 2015-10-09 [2017-01-09]. ^ FIFA.com. The Best FIFA Football Awards 2016 - Puskás Award - FIFA.com. FIFA.com. [2017-01-09] （英语）. ^ Nicol David International Squash Centre. Time Out Penang. [2016-10-18]. ^ Report on Educational and Social Characteristics of the Population 2010. Department of Statistics, Malaysia. 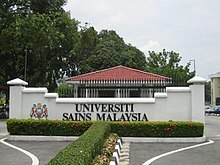 ^ Universiti Sains Malaysia (USM). Top Universities. 2015-07-16 [2016-10-18]. ^ Introduction. Penang Public Library Corporation. [2016-01-30]. （原始内容存档于2016-01-30） （马来语及英语）. ^ Perpustakaan Cawangan (Libraries Branch). Penang Public Library Corporation. [2016-01-30]. （原始内容存档于2016-01-30） （马来语及英语）. ^ Penang Digital Library. 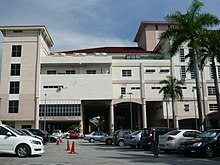 www.penangdigitallibrary.com. [2017-03-20]. ^ 134.0 134.1 Zabidi, Nor Diana. Portal Rasmi Kerajaan Negeri Pulau Pinang - The Penang Digital Library. www.penang.gov.my. [2017-03-20] （马来语）. ^ 135.0 135.1 Paperless library option - Community | The Star Online. www.thestar.com.my. [2017-03-20]. ^ Penang to have first-ever school in hospital. NST Online. [2016-10-18]. ^ Getting back its mojo. The Economist. 2011-08-13 [2016-10-18]. ISSN 0013-0613. ^ Higher Education in Regional and City Development : State of Penang, Malaysia. OECD. ^ 139.0 139.1 Penang State Government. Penang.gov.my. [2011-01-03]. ^ Criz, Penang-based blogger. The Official Launch of TimeOut Penang. 2011-06-19 [2014-02-26]. ^ Time Out Penang. Malaysia. [2014-02-26]. ^ The Legacy Of Penang Trishaw. 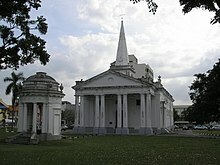 www.penang-vacations.com. [2016-10-18]. ^ Siow Yuen Ching. Glorious days of Penang's trams. 马来西亚星报. 马来西亚. [2011-01-03]. （原始内容存档于2011-06-22）. ^ 145.0 145.1 Penang – The Pearl of the Orient. Equator Academy of Art. [2008-07-27]. （原始内容存档于2008-09-14）. ^ Siow Yuen Ching. Rivalry 'caused inefficiency'. The Star. Malaysia. [2011-01-03]. （原始内容存档于2011-06-22）. ^ Ng Su-Ann. Commuters stage protest. The Star. Malaysia. [2011-01-03]. （原始内容存档于2011-06-22）. ^ Rapid Penang Information, Rapid Penang Reference Articles – FindTarget Reference. Reference.findtarget.com. [2011-01-03]. （原始内容存档于2011-07-11）. ^ Firm adds 30 more double-decker buses to its fleet - Community | The Star Online. www.thestar.com.my. [2017-03-19]. ^ Penang Hill train service to resume next year. Bernama. The Malaysian Insider. 2010-10-06 [2011-01-03]. （原始内容存档于2015-04-28）. ^ Penang tourism: Promoting cycle lanes in urban heritage areas. The Sun. 2015-01-24 [2016-01-21]. ^ Bicycle Rentals. Penang State Government. [2016-01-21]. （原始内容存档于2016-01-21）. ^ Pedal power can set a new benchmark of liveability in Penang - Star2.com. Star2.com. 2016-04-29 [2016-10-18] （英语）. ^ 155.0 155.1 Link Bike. www.linkbike.my. [2017-03-26] （英语）. ^ Zabidi, Nor Diana. Portal Rasmi Kerajaan Negeri Pulau Pinang - Link Bike, Penang's NewJewel. www.penang.gov.my. [2017-03-26] （马来语）. ^ 157.0 157.1 Penang to be first cycling state | Buletin Mutiara. www.buletinmutiara.com. [2017-03-26]. ^ Arnold Loh. Uber makes presence felt in Penang. The Star. 2015-06-27 [2016-01-21]. ^ First LRT project in Penang next year - Nation - The Star Online. www.thestar.com.my. ^ Keeping folk in the know - Community | The Star Online. www.thestar.com.my. [2016-10-19]. ^ Loh, Arnold. More rail access for Penang - Nation | The Star Online. [2016-10-19]. ^ Trams making comeback under RM27bil Penang plan - Nation - The Star Online. www.thestar.com.my. ^ migration. Penang to ease island's transport woes. 2015-04-17. ^ 166.0 166.1 Home users the main guzzlers - Community | The Star Online. www.thestar.com.my. [2017-04-28]. ^ History of Penang. Visitpenang.gov.my. 2008-09-14 [2011-01-03]. （原始内容存档于2016-01-02）. ^ Pocket Book of Statistics (PDF). Malaysian Communications and Multimedia Commission. ^ Penang Free Wifi. www.penangfreewifi.com.my. [2016-10-18]. （原始内容存档于2014-07-08）. ^ Penang Free WiFi to get speed boost in 50 spots soon. 2015-10-19 [2016-10-18]. ^ Penang launches statewide free WiFi project. The Star. Malaysia. [2011-01-03]. （原始内容存档于2010-07-22）. ^ Impact modelling of sewage discharge from Georgetown of Penang, Malaysia on coastal water quality. [2014-09-13]. ^ Australian Consulate in Penang, Malaysia. Department of Foreign Affairs and Trade. [2015-12-20]. ^ Zabidi, Nor Diana. Portal Rasmi Kerajaan Negeri Pulau Pinang - Austria Reception. www.penang.gov.my. [2016-10-16]. ^ Honorary Bangladeshi Consulate in Penang, Malaysia. Penang Island City Council. [2016-11-20]. ^ China officially launches consulate office in Malaysia's Penang - Xinhua | English.news.cn. news.xinhuanet.com. [2016-10-16]. ^ UM. Consulates. malaysia.um.dk. [2016-10-16]. ^ Honorary Consulate of Finland, Penang - Embassy of Finland, Kuala Lumpur : Contact : Finland's honorary consulates in Malaysia. www.finland.org.my. [2016-10-16]. ^ Deutsche Botschaft Kuala Lumpur - Visa and Passport Service, Legal and Consular Department. www.kuala-lumpur.diplo.de. [2016-10-16]. （原始内容存档于2016-10-09）. ^ KJRI Penang - Beranda. www.kemlu.go.id. [2016-10-16]. ^ Consulate-General of Japan in Penang, Malaysia. www.penang.my.emb-japan.go.jp. [2016-10-16]. ^ Honorary Norwegian Consulate in Penang, Malaysia. Penang Island City Council. [2016-11-20]. ^ Honorary Pakistani Consulate in Penang, Malaysia. Penang Island City Council. [2016-11-20]. ^ Opening the first Consulate Honorary of the Republic of Poland in West Malaysia. www.kualalumpur.msz.gov.pl. [2016-10-16]. ^ About Embassy - EMBASSY OF THE RUSSIAN FEDERATION IN MALAYSIA. malaysia.mid.ru. [2016-10-16]. ^ Honorary Swedish Consulate in Penang, Malaysia. Penang Island City Council. [2016-11-20]. ^ สถานกงสุลใหญ่ ณ เมืองปีนัง. www.thaiembassy.org. [2016-10-16]. ^ British Consulate in Penang. 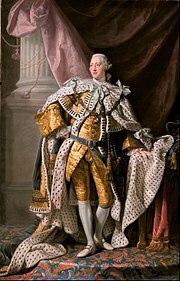 www.british-consulate.net. [2016-10-16]. ^ 189.0 189.1 189.2 Hans Michelmann. Foreign Relations in Federal Countries. McGill-Queen's Press – MQUP. 2009-01-28: 198–. ISBN 978-0-7735-7618-6. ^ SISTER CITY PARTNERSHIP OFFICIALLY FORMALIZED BETWEEN PENANG, MALAYSIA AND XI’AN, SHAANXI PROVINCE, CHINA. SEIA. 2014-10-27 [2017-03-06] （英语）. ^ Kunjungan Hormat oleh Konsul Jeneral ke atas Walikota Medan. Ministry of Foreign Affairs, Malaysia. 2012-09-13 [2015-12-20]. （原始内容存档于2015-12-20） （马来语）. 槟城友城何其多（上篇）. 星洲日报大北马. 2012年11月6日 [2017年5月5日] （中文）. ^ Malaysia: Taipei, Georgetown ink friendship memorandum. Central News Agency. Taiwan News. 2011-03-29 [2015-12-20]. （原始内容存档于2015-12-20）. ^ 197.0 197.1 Penang and Phuket to be sister cities - Community | The Star Online. www.thestar.com.my. [2017-03-06]. ^ Friendly Regions of Kanagawa Prefecture : Kanagawa - 神奈川県ホームページ. www.pref.kanagawa.jp. [2017-03-06] （日语）. ^ APEC JAPAN 2010 | Venues/Yokohama. www.mofa.go.jp. [2017-03-06] （英语）. ^ Forging friendship city ties between Penang and Sanya - Community | The Star Online. www.thestar.com.my. [2017-04-21]. ^ 201.0 201.1 Portal Rasmi Kerajaan Negeri Pulau Pinang - The Signing of MOU on Friendly City Cooperation Between George Town, Penang & The City of Zhongsan, China. www.penang.gov.my. [2017-03-06] （英语）. ^ 202.0 202.1 Signing of MOU to Promote Culture and Tourism between Busan Metropolitan City, Republic of Korea and Penang Island City Council (PDF). Visit Penang. 2015-12-02. （原始内容 (PDF)存档于2017-03-06）. ^ changwon. home. 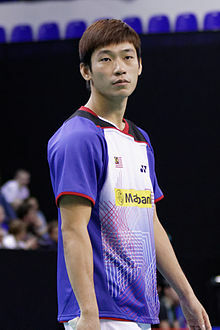 eng.changwon.go.kr. [2017-03-06] （韩语）. ^ Zabidi, Nor Diana. Portal Rasmi Kerajaan Negeri Pulau Pinang - Memorandum of Understanding (MOU) On The Enhancement of Friendly Relationship Between Penang State, Malaysia & Hainan Province, The People's Republic of China. www.penang.gov.my. [2017-03-06] （马来语）. ^ Lim to reveal details of China visit. www.thesundaily.my. [2017-03-06] （英语）. ^ Sri Aruloli Thirumurugan Penang Hill Hindu Temple, Penang / Pulau Pinang. [2016-10-20]. ^ Penang State Government. Penang.gov.my. [2011-01-03]. ^ St Xavier's marks a new chapter after 156 years. 马来西亚星报. （原始内容存档于2008-10-29）. ^ 209.0 209.1 Administrator III. History of Penang. [2014-09-13]. （原始内容存档于2016-01-02）. ^ Malaysia’s highest skywalk opens to public. Channel NewsAsia. [2017-04-10] （英语）. ^ Centre, UNESCO World Heritage. Melaka and George Town, Historic Cities of the Straits of Malacca. whc.unesco.org. ^ New water rates for Penang. www.thesundaily.my. [2017-04-26] （英语）.